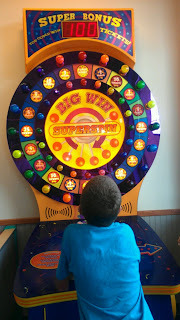 Being Frugal and Making It Work: This Summer Every Kid’s a Winner at Chuck E. Cheese’s - Where a Kid Can Be a Kid! 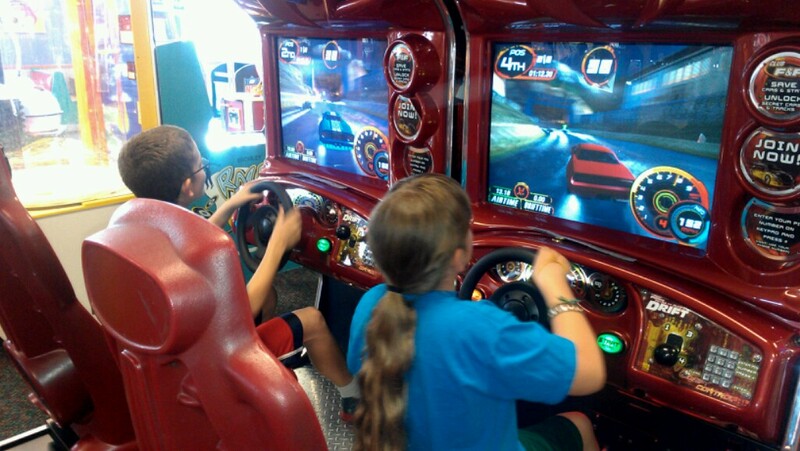 This Summer Every Kid’s a Winner at Chuck E. Cheese’s - Where a Kid Can Be a Kid! Did you hear about the extra fun that’s been added to the Chuck E. Cheese’s experience for kids this summer? All summer vacation long through September 1, every kid’s a winner as soon as they walk through the door! During the summer of winning, kids under 12 will be given a peel-off game piece at Kid Check instantly earning them 5, 10, 20, 50 or 100 tickets; 5 or 10 tokens; or even a free turn in the Ticket Blaster – a unique experience typically only available with birthday party packages. Every Kid’s a Winner at Chuck E. Cheese’s This Summer! My kids are 9 and 12, and still love going to Chuck E. Cheese's! In fact, my husband and I have just as much fun as the kids do - it's fun for the entire family! So, when I was given the opportunity to take my kids to Chuck E. Cheese's for a few hours of fun - of course I jumped at the chance! The great food and fun games provide everything you need for a fun family activity! Their pizza is hot and delicious, their salad bar is simply amazing and the atmosphere makes everyone happy! I hope you and your family get to experience Chuck E. Cheese’s for the win this summer and let us know how it goes! If you’re looking for deals to make your next visit even more special, Chuck E. Cheese’s offers a variety of rewards calendars – like this one that supports summer reading programs – to earn even more tokens before you head out the door. "Chuck E. Cheese’s celebrates the spirit of game-winning fun this summer with a new promotion that rewards guests 12 and under with tokens, tickets and exclusive trips inside the TicketBlaster®. Through September 1, kids will be given a free game piece valid for 5, 10, 20, 50 or 100 tickets; 5 or 10 tokens; or a free turn in the TicketBlaster upon every visit to the number one kid-friendly restaurant." "With 566 stores throughout the United States and Canada, Chuck E. Cheese’s provides families with a unique experience featuring the latest games, rides, play area features like Sky Tubes, shows and live entertainment alongside favorite food options including delicious made-to-order pizza, a fresh salad bar, wings, sandwiches and gluten-free options." Chuck E. Cheese’s - Where A Kid Can Be A Kid! What is your favorite thing about Chuck E. Cheese's? Disclaimer: I received a complimentary family pass from Chuck E. Cheese's for the purpose of writing a review. Regardless, I only recommend products or services I use personally and/or believe will be a good fit for my readers. The views and opinions expressed on this blog are purely my own. Results may vary. No monetary compensation was received. I cannot believe my child is SEVEN and we still havent been! We haven't been there in forever! I love going when it first opens during the week. I haven't been there in so long. It may just be time to go back there again! Chuck E. Cheese is so much fun. I got my portrait drawn on Chuck E. Cheese paper last time I was there, LOL!!! Chuck E Cheese is a great place to have some fun on those really hot summer days! i love skee ball. so that's my fave. my kids haven't been more than twice, for birthday parties. i have 3 little ones close in age and i get stressed out in places like that where i can't see them all at once. i love the security measures CEC takes to protect little ones tho! My favorite thing is the pizza but their games are super fun! We did a birthday party there and the kids had SO much fun! My kids love to play although we don't go often. I like the safety of knowing they can't leave with anyone else.